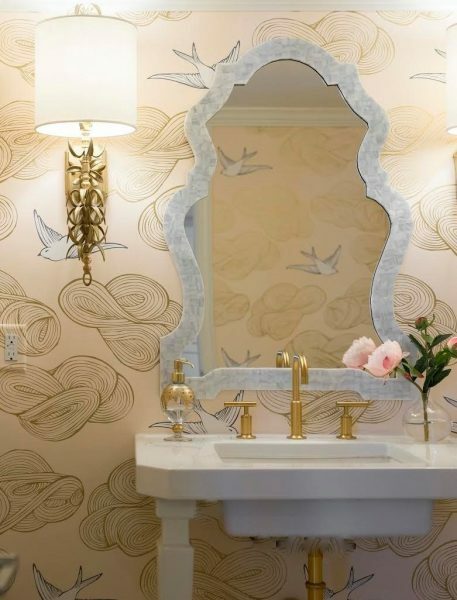 The whimsical wallpaper in last week’s blog has us thinking all about wallpaper, especially in a powder bath! There are so many fabulous wallpapers to choose from that it can be hard to pick just one. We always encourage clients to have a little fun with small spaces like a powder bath. You can get away with bolder colors, prints, and other unexpected details that you may not want in your main spaces. 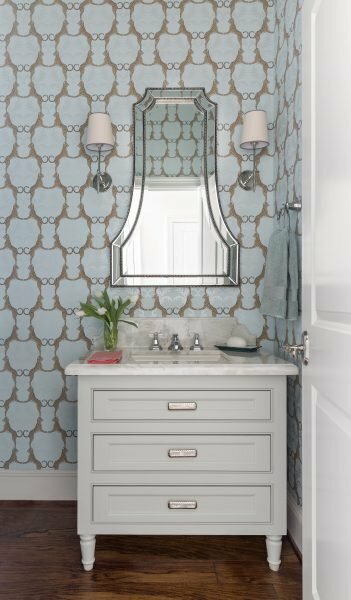 Thoughtful details like wallpaper can turn an ordinary bathroom into a jewel-box of a space that will leave you and your guests delighted. 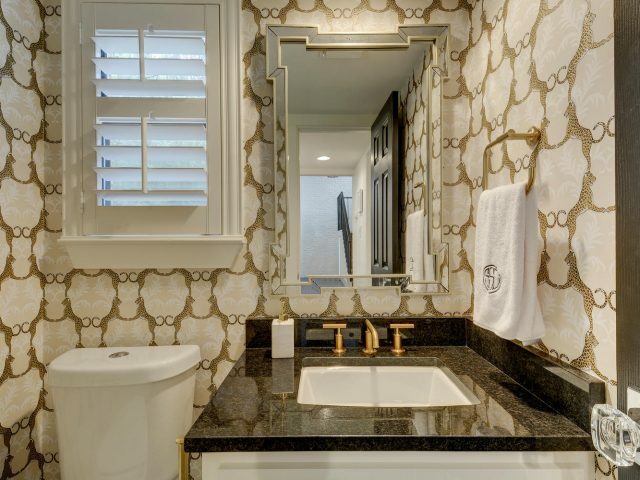 The powder bath from our Fort Worth Georgian project was a bold choice for our clients. However, it does not stray far from the colors and other charming, traditional touches that you will find throughout their home. The wallpaper flows with the style of the home, but it still feels a little unexpected and fun. This particular wallpaper comes in different colorways. Depending on the other finishes and details used, the print can appear more ‘glam’ or classic. Here is a preview of one of the playful prints we are using in a transitional beach house. The home incorporates such fun prints and colors. The powder bath of course is no exception. This bright pink graphic wallpaper is punchy and fun. Perfect for the beach! We are so excited to see this project come to life. If you have a small space like a powder bath that needs some style, we can help! Whether you want to peruse the wallpaper options in our shop or renovate a space, give us a call and we can make even your smallest space special.